EVALUATION TASK 1 – IN WHAT WAYS DOES YOUR MEDIA PRODUCT USE, DEVELOP OR CHALLENGE FORMS AND CONVENTIONS OF REAL MEDIA PRODUCTS? 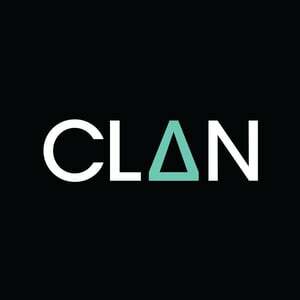 – CLAN STUDIOS. EVALUATION TASK 1 – IN WHAT WAYS DOES YOUR MEDIA PRODUCT USE, DEVELOP OR CHALLENGE FORMS AND CONVENTIONS OF REAL MEDIA PRODUCTS? I have tried to make both of the grids as similar as possible, for example, the top left is both the boyfriends drinking alcohol because they are down and upset and know they have done wrong. There is a very strong comparison between these two images as they both give the same message. The top middle image in both is a picture of the two couples fighting, and this again portrays the same powerful message that there is a fallout. We made it clear that it was a fallout by making them physically fight and argue, as you can tell they are shouting at each other. We put some of these clips in slow motion to really emphasise and show the tension and anger. The top right picture in both grids is a shot of a fire. In Eminem’s video, this represents terror and disaster. In our video, it represents a house fire. The second picture down on the left on both grids is almost the trough of the videos, the bad, sad bit. In Eminem’s video, it’s the girlfriend sitting alone in the corridor, no doubt reflecting on what has happened and thinking about her boyfriend. In our video its a shot of the girl, having died in the fire, getting dragged out. This shot almost makes the viewer feel like the girl in Eminem’s video, a bit sad and taken back. The next picture, in the centre is of the lip sinker in front of a fire. In both shots they are standing in front of a house fire, or what represents a house fire. The picture to the right of the centre picture is of the boyfriends. In our video, its the boyfriend having woken up in hospital after the house fire seeing the funeral card for his girlfriend. This is the first time he finds out his girlfriend has died, so this is a very powerful, emotional shot. In Eminem’s video, this shot is also of the boyfriend showing a lot of anger, frustration and pain and it too is a powerful shot. Bottom left is again, screen shots of both boyfriends. This shot represents the end and giving up. In Eminem’s video, it’s a shot of the boyfriend burning in fire, this gives us the impression that he is committing suicide and dying. In our video, the boyfriend is also committing suicide and falling off a clip because he wants to die and join his dead girlfriend. The screen shot to the right of this one is the boyfriend going after the girlfriend (in Eminem’s) and the boyfriend running to his death (in ours). Both these shots suggest that the boy is asking for forgiveness and he feels guilty and wants to make up for it to the girlfriend. The final picture, bottom right, is a picture of the girlfriends. In our video, the girl is dead on a stretcher and in Eminem’s, the girl is burning to death. Both these images create a sense of sadness and devastation, making them very powerful moments of the video. Previous postANCILLARY TASKS 6 & 7 – FINAL ADVERT. Next postEVALUATION TASK 2 – HOW EFFECTIVE IS THE COMBINATION OF YOUR MAIN PRODUCT AND ANCILLARY TEXTS?